The Academic Staff Union of Universities, ASUU, said on Monday there is no going back on its one-week warning strike scheduled to begin on Wednesday 16th November 2016. And indeed they didn’t go back. Several Tertiary institutions are now on Day 2 of the 7 days warning strike. The Academic Staff Union of Universities (ASUU), said it would embark on a one-week warning strike over the failure by the Federal Government to implement the 2009 Agreement and 2013 MoU. ASUU National President, Biodun Ogunyemi, told newsmen that decision was made following a nation-wide consultation with members, the National Executive Council (NEC) of ASUU resolved to embark on a one-week warning strike from Wednesday Nov.16. The union leadership, after its emergency executive committee meeting, declared the warning strike at a news conference on Monday in Abuja. Mr. Ogunyemi said chronic underfunding of the sector through low budgetary allocation, which went from 11 percent in 2015 to eight per cent in 2016, did not go down well with the union. He pointed out the failure of the government to implement the 2009 agreement and the 2013 Memorandum of Understanding (MoU) as some of the reasons for embarking on the warning strike. The president said that its members were tired of what they described as “government’s empty promises’’ in setting up its negotiation team for the review of agreement as consistently requested by ASUU since 2012. According to Biodun Ogunyemi, the union will put machinery in place to ensure that there is total compliance during the strike. He explained that the essence of the warning strike was to draw the attention of concerned stakeholders and the general public to the challenges that the unions, universities and other stakeholders in the sector were facing. “Nobody will say before we exhaust the warning strike some issues cannot be addressed if the government wants to be sincere with our cause. We are doing this because we want Nigerians to come into the matter and ensure that these issues are given the adequate attention they deserve. 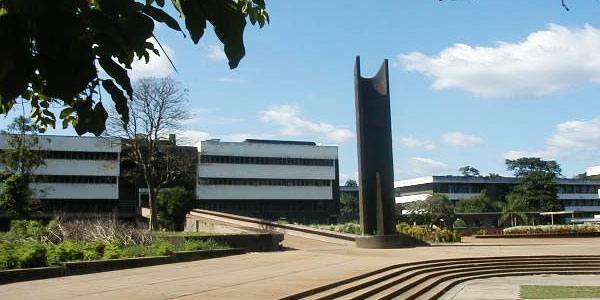 Our lecturers are given 40 percent of their salaries, which is just not encouraging, as this will lead to poor commitment in carrying out their jobs. Reacting to the impending strike, the National Parent Teacher Association of Nigeria (NAPTAN), said that ASUU was right and that it must be supported. Adeolu Ogunbanjo, the association’s 2nd Deputy National President, told NAN that it was the time the government takes the country’s education seriously. Sen. Jibril Barau (APC-Kano), says the Senate has intervened in the crisis between the Federal Government and the Academic Staff Union of Universities (ASUU). Barau made this known when he was briefing Senate correspondents after a closed-door meeting with the leadership of ASUU, Minister of State for Education and other stakeholders in Abuja on Wednesday. The Senator, who is the chairman of the sub-committee, assured Nigerians that the parties involved had found a way forward as there was a determination to get the issues resolved. “With the attention of the minister of finance and that of budget and planning, by Monday next week, we should resolve amicably and the warning strike will come to an end,” Ohuabunwa said. Minister of State for Education, Prof. Tony Anwuka said that the initiative was commendable and was geared toward finding a lasting solution to the crisis. The state of education in Nigeria is at it lowest ebbs in Africa. 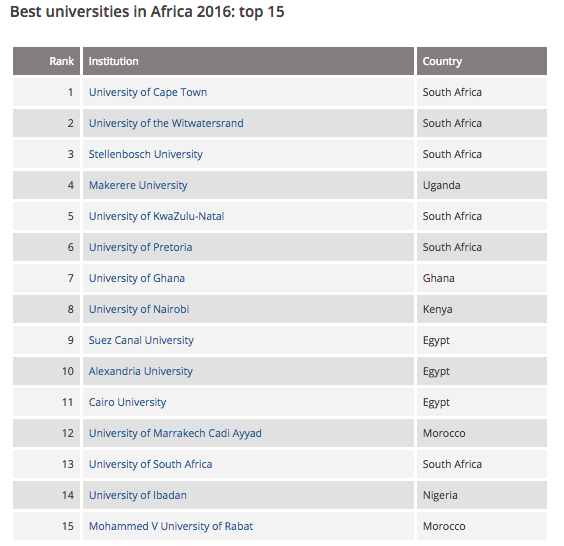 Schools from South and North Africa are currently ranked higher than those in Nigeria as no Nigerian university is in top 10 African universities. It the past, there was at least two Nigerian schools in top 5.